Welcome to this beautiful low country style home built in 2012 situated on a private two acre lot! Featuring 3 large bedrooms and 2 full bathrooms this home has an open floor plan perfect for entertaining and spending time with friends and family. You'll enjoy a large 2 care garage, 9' ceilings throughout the home, brand new deck off the back, insulated 24'x16' workshop with a half bath and wood burning stove, and there is a 16'x24' lean-to of the back of the building. 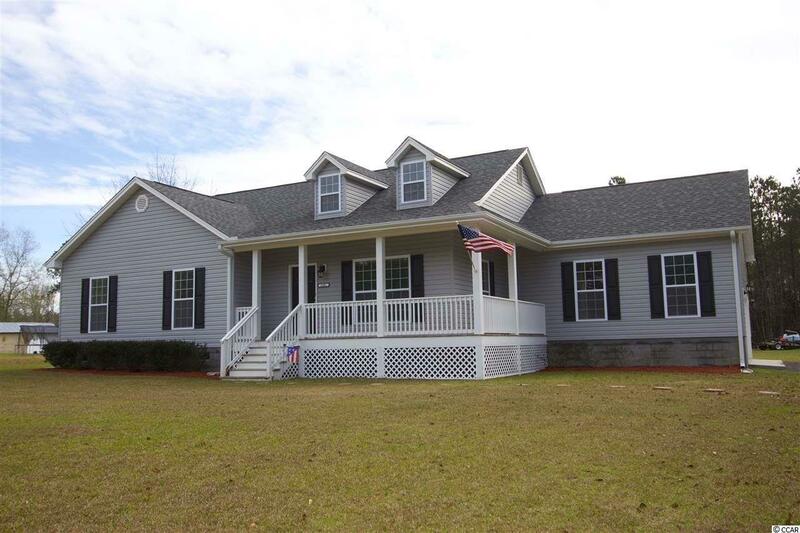 Additional features include; all kitchen appliances, large laundry room off of the kitchen, 10'x16' storage shed, and a nice size front porch perfect for those South Carolina evenings in the country.